My clinic is situated in South Birmingham near the border of Worcestershire and Birmingham (West Midlands), and is easily accessible from Bromsgrove, Redditch, Cofton Hacket, Rubery, Northfield and Bournville. There are very good rail links to and from Birmingham city centre. I also treat one day each week in Stourbridge. I’m traditionally trained, fully licensed and insured member of the British Acupuncture Council and have been since 1997. People come and see me with a wide range of conditions such as pain, emotional issues, digestive problems etc Over the years I have amassed a great deal of knowledge and experience. 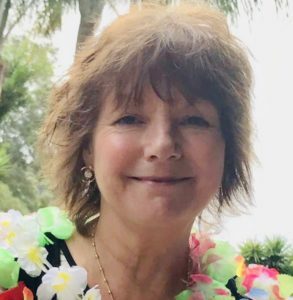 With an interest in both male and female fertility issues, I am Zita West Affiliated Acupuncturist with specialist yearly training, as well being one of her teaching team to other acupuncturist. 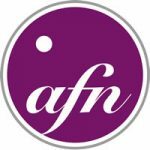 In addition I’m a member of the Acupuncture Fertility Network (AFN). If you are interested in fertility, then please see my fertility pages with my personal audit. In 2018 21 of my clients achieved a natural pregnancy and 70% of my IVF patients had a positive pregnancy test. I am a Zita West Affiliated Acupuncturist at CARE Fertility Birmingham, as well as a recommended acupuncturist at (MFS) now IVI in Tamworth Staffordshire. If you are thinking about trying acupuncture, but are unsure if it could help you, then please call, I am always happy to have an informal chat about any condition you may wish to discuss. I am a dedicated professional who strives to do the very best for the people who come to see me in order to achieve a positive outcome. There are many independent reviews on yell.com, on my Facebook page, and in the section here named ‘testimonials’. The cost of treatment is £42 per session. A number of private healthcare insurers such as PPP/AXA, Aviva, BHSF, Simply Health and many others offer some form of cover for acupuncture treatment.